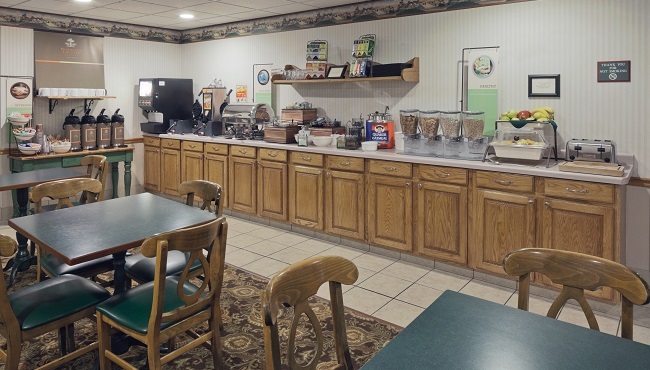 Wake up with the complimentary, hot breakfast at the Country Inn & Suites, Germantown, WI. Our hotel offers a tasty selection of morning favorites like breakfast burritos, waffles and yogurt. Pour yourself a cup of coffee and peruse the free weekday USA TODAY® newspaper before heading out for the day. At lunch or dinner, explore nearby restaurants such as Kurt Schulz Deli, serving sandwiches on fresh-baked bread, and La Chimenea, which offers classic Mexican fare.